Last fall, Amigo Mobility International celebrated its 50th anniversary as a company. 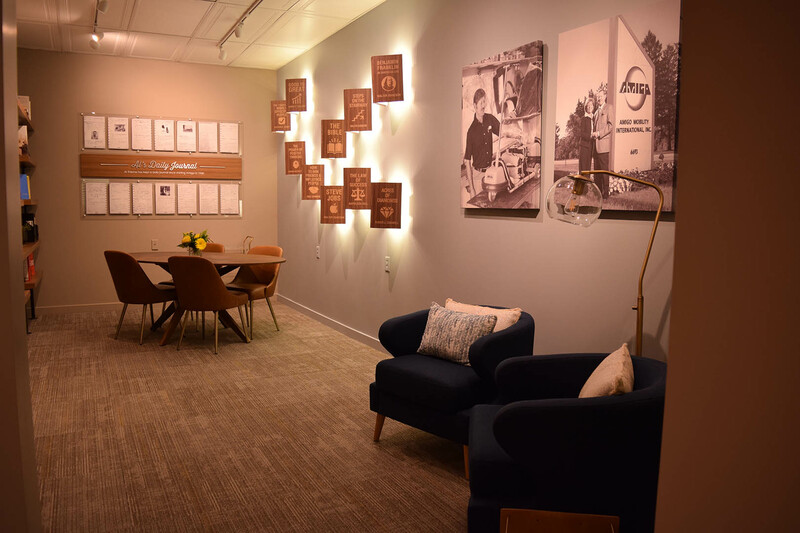 In honor of this special year and of Amigo’s founder, Al Thieme, the company called on our team at ZENTX to create a commemorative room in their Bridgeport, Michigan, headquarters. The idea was brilliant: transform an old storage closet into a cozy library and conference room. Shooting to finish in time for the company’s anniversary day, we got our graphic specialists and fabricators on the job to design and create a warm space that could both hold Al’s collection of books and capture his personality as Amigo’s founder. Despite the short turn-around time, we met the deadline, and Amigo’s staff was able to celebrate the anniversary with a ribbon cutting for the room. Our sales rep Sheena Lovitos had the privilege to attend the ceremony and see her clients’ reactions to the space. Afterwards, she had a few words with Al Thieme and his family members. This video that we released on our YouTube channel a few months ago shows some of the highlights from their conversations. They had a lot more to say, though, so we thought it would be worthwhile to share the rest of their conversation now. 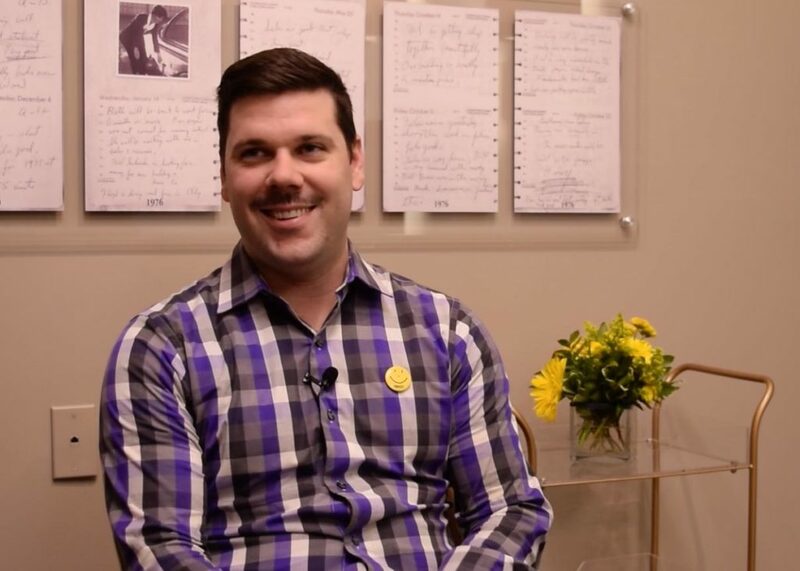 Underneath the video, you’ll find Sheena’s full conversation with Jordan Thieme, Amigo’s director of operations and son of founder Al Thieme. Come back to our blog later to read the full interview with Jennifer Thieme Kehres, Amigo’s director of business development. How did you learn about ZENTX? What is the significance of this library to Amigo and Al? With this library, what’s really cool with it is [that] my dad is kind of a humble person and life-long reader. And one of the things we always point out is how he dropped out of school because it’s a funny story. But in reality he’s, at the age of 81, still learning, just on his own and in his own way. And it’s really cool to see all these books throughout here of things that he’s learned and how he grew our business these last fifty years. 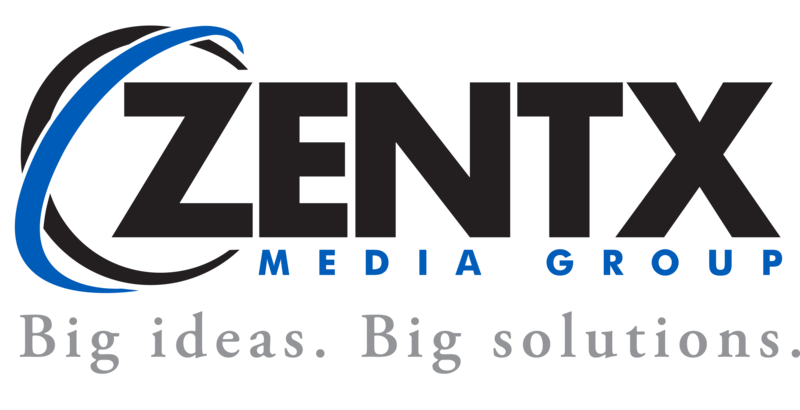 Describe the service provided by ZENTX and the whole ZENTX experience. I’m not a marketing person or design person, so when we first looked at this room [when it] was an ugly closet, I said, “You guys tell me what to do, and I can make anything happen.” It was really cool how you guys started with a picture looking in this room and came up with this idea and somehow made it look so cool. Because, from my standpoint, [we] wouldn’t have been able to do it. So it was really nice. From design work to install, [the process] was great. It was just super easy. And I really appreciated the timeline up front, being the person who’s over all of the building, it was great to know, “Okay, on this date you’re going to start this and then this,” so that I can squeeze in other things as needed.